You may know by now that my favorite thing to do is simply relax. And when I say relax, it doesn’t always have to be at the spa. One of my most blissful pleasures in life is to take baths at home. There is almost nothing better than submerging into a warm bath at the end of a busy day. You too can have a luxurious bath experience in your own home without spending a fortune. Now that the cooler weather has arrived and it is time for hot drinks and cozy sweaters, warm baths are needed to take the chill off. 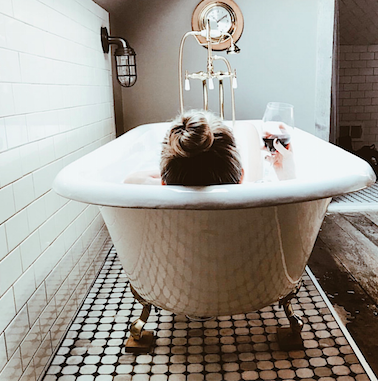 Autumn is the best time for a detox bath and here is why: As the days become shorter and the evenings get longer, the season begins to prepare itself for winter. As the season changes, so do our bodies. This is the time of year people get colds or sick. This is our bodies way of fighting off toxins as they arise. Being able to release toxins is essential for well-being and healthy living. 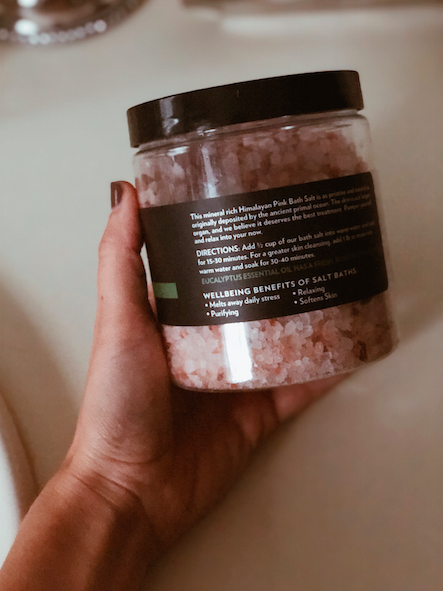 What if I told you that taking a detox salt bath is equivalent to fasting for 3 days? We can help support and assist our bodies natural processes with just a few additional tricks. 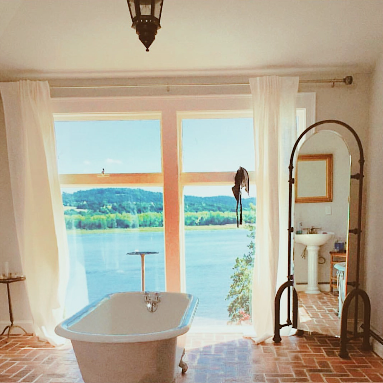 This isn’t your typical bubble bath. With only a few natural ingredients found in your local health food store, we can help our body detox by drawing out, eliminating, regulating your pH balance, and removing toxins. Fill up your tub with hot water. The heat of the water will open your pores allowing for ultimate absorption. Light your candles, turn off the lights and put on your playlist. Ahh, nothing like some good ambiance. Submerge yourself up to your neck and relax for a good 30 minutes. Breathe deeply. Enjoy the scents and warmth of the bath as your muscles loosen up any soreness or tension. 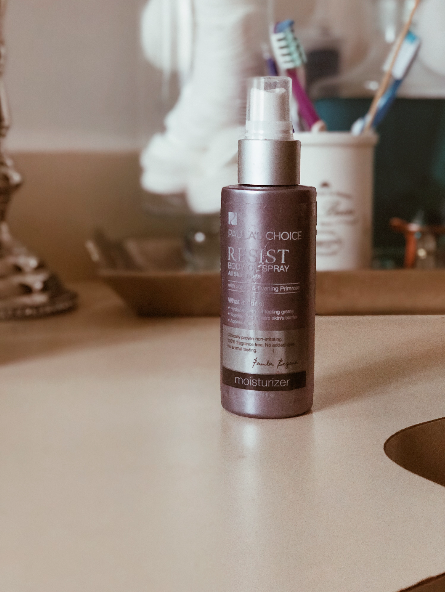 Right now I’m loving the Paula’s Choice Resist Body Oil Spray Moisturizer. Please consult with your doctor before doing this if you are pregnant or breastfeeding. To read about Azulik Hotel and Mayan Spa click here. How many times a month do you soak? 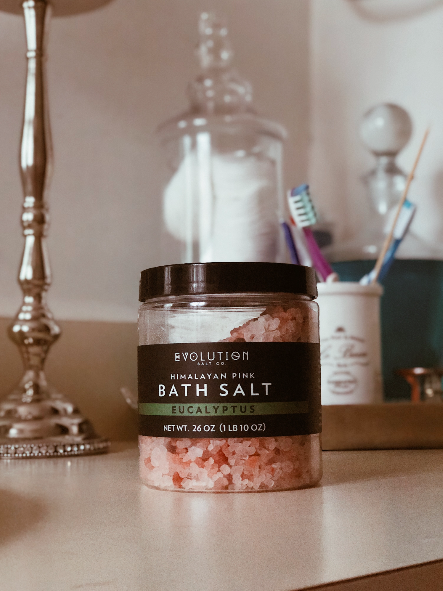 What are your bath rituals?